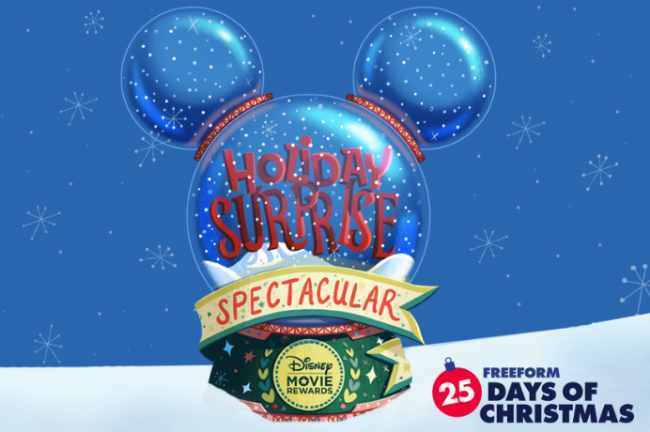 DMR Holiday has come up Freeform 25 Days Of Christmas Sweepstakes now through December 25 in which they are giving away daily points which you can various exciting rewards. To enter, Participants need to watch Freeform Christmas 2018 movies and search out for a bonus code that will air during the movie. After that, Visit DMRholiday.com to login or join Disney Movie Rewards. Enter Your Disney Movie Rewards Code From Freeform. Collect Your Bonus Points & Redeem For Rewards! If you are looking Freeform Disney Movie Codes, then you have come up at right place. In this post you will get all latest Freeform 25 Days of Christmas Disney Codes. Just bookmark this post and come back daily for new code! Eligibility: Disney Movie Rewards Sweepstakes is open to 50 United States and District of Columbia, Puerto Rico or Canada. Begins November 26, 2018 at 9 am PST and ends December 26, 2018 at 8:59 am PST).